Heaven Sent Enterprise LLC is a locally owned and operated business. The business is comprised of; a Christian Gifts & Bible Bookstore, a Bridal Boutique & Wedding Planning Service, a Florist Shop, a Coffee Shop & Bakery, Banquet Hall & Catering Service Company. We are proud to serve the Town of Hamilton and surrounding Cincinnati Metrowest Areas of Ohio. We have enjoyed the many rolls we play in our community and yours. We have shared our special coffees and baked goods, we have welcomed those in search of a nice gift or that perfect book. 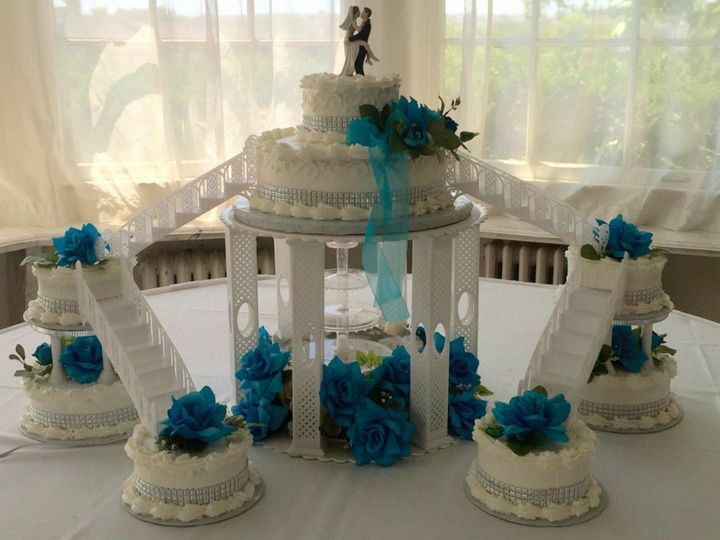 We have catered, decorated, designed and orchestrated your anniversaries, weddings, receptions and birthdays. We have been there to see you at your best and honor the happiest days of your lives and will continue to do so, come what may. Thank you for your continued support, Ohio. We couldn't ask for more. 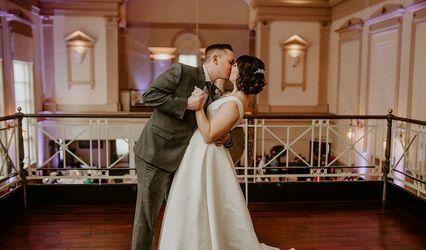 For more information about weddings, chapels, receptions, parties, cakes, gifts, designer dresses, tuxedos or great coffee, give us a call at 1-513-856-7368. 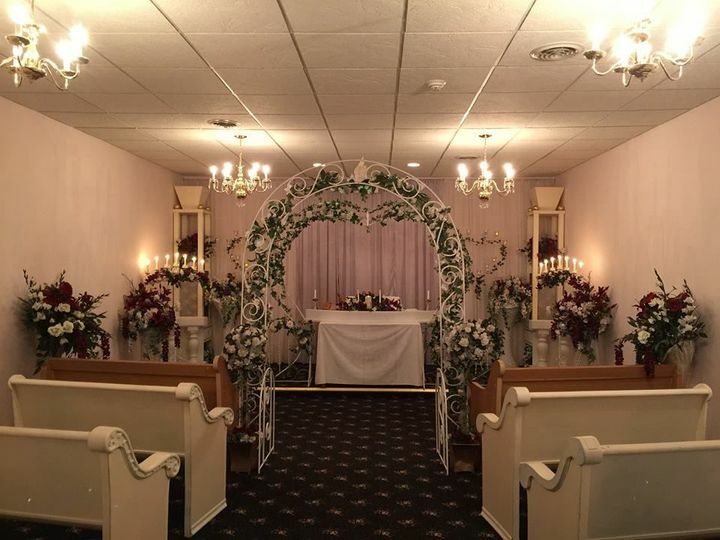 What makes The Wedding Chapel such a special place? Imagine, The Heaven Sent Wedding Chapel, a beautiful day. The music begins to play, it's The Wedding March, the candelabras glow sending soft light across lovely white and cream flower baskets and proud topiaries. 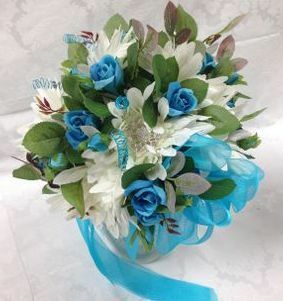 There is a heavenly indoor garden quality and no one can deny, as they stand for the bride, that it's a very special day. 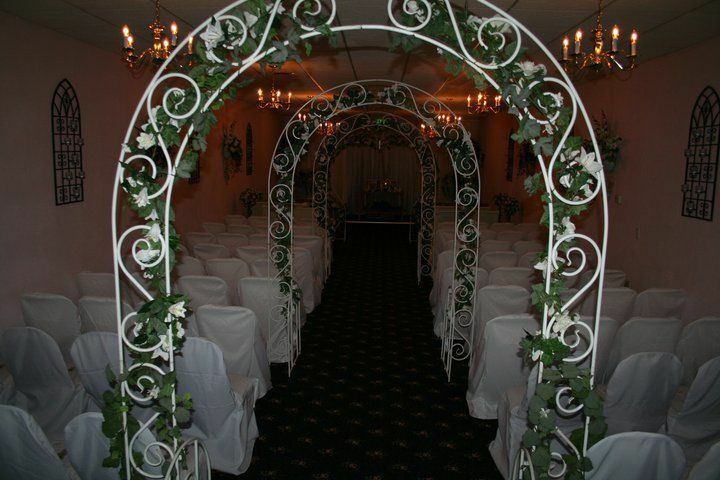 Your special day deserves a venue of equal value. 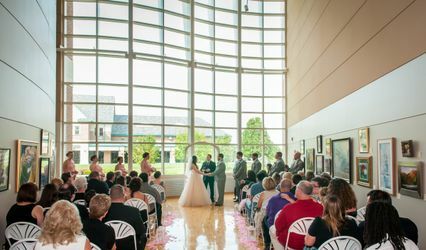 What makes The Wedding Chapel such a special place? 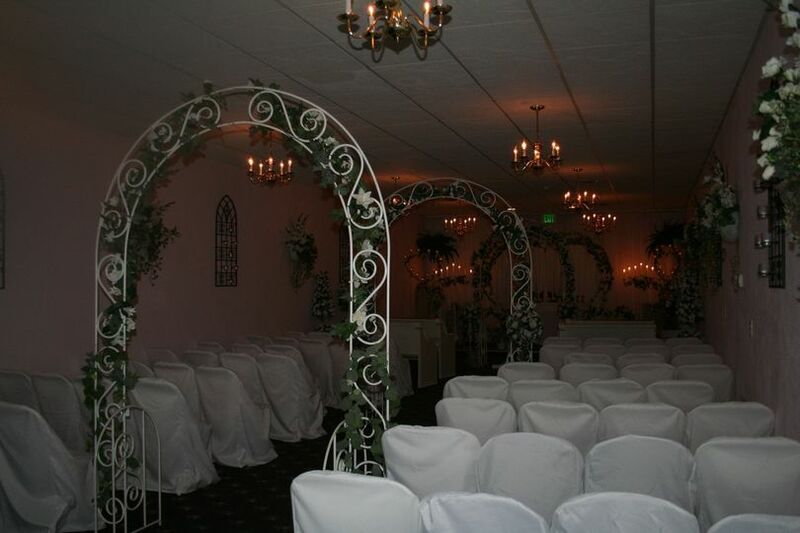 Is it the decor of pale petal pink walls, our brass chandeliers with sconces, or the charming arches that introduce a beautiful bride to an aisle over forty feet long? Is it the brass cherubs that smile on as the blushing wedding party proceed down the aisle gathering grand wishes and hopeful thoughts from loved ones? 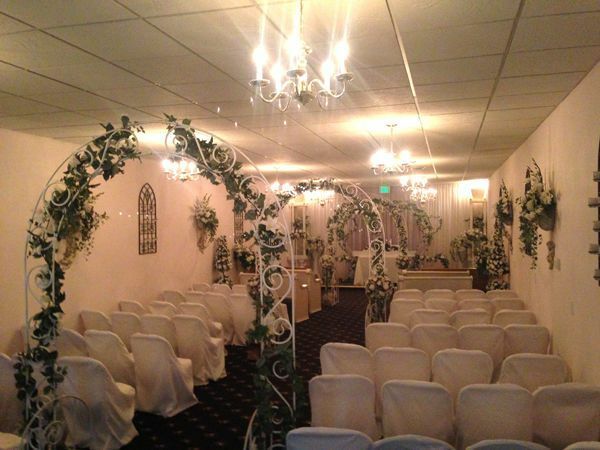 Maybe it's our beautiful white pews and coordinating chairs adorned with graceful bows that make it special. 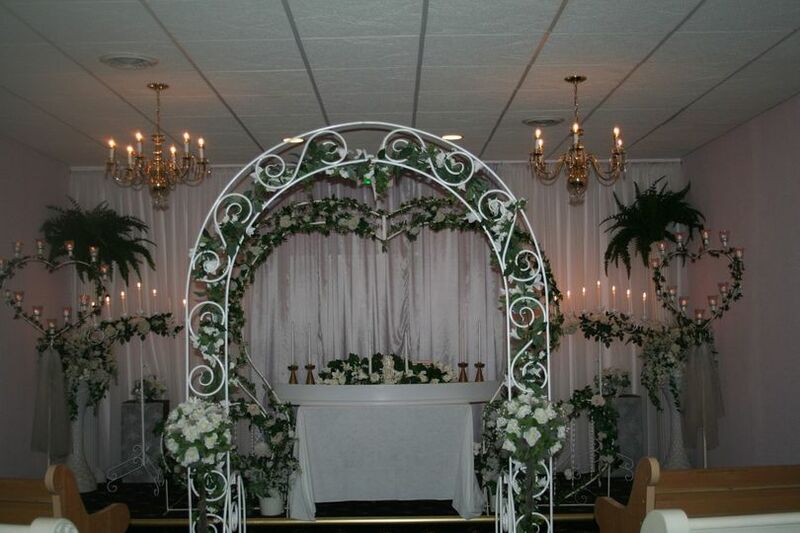 Perhaps, The Wedding Chapel is special because we strive for elegance in our original designs and we always give the utmost respect to the union of two people in love. 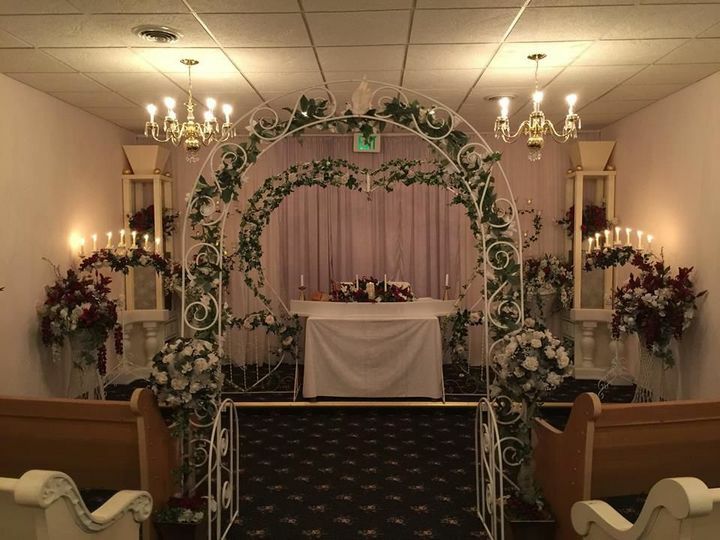 We will honor your special requests, communion is available to the wedding party and, if you wish, the unity candle is included. 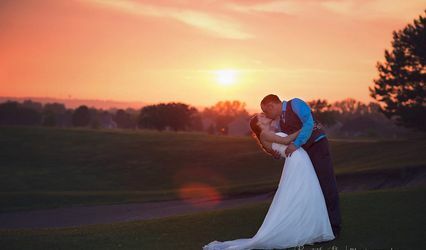 We will go above and beyond, doing our best to bless your wedding and make it a day to remember with joy.